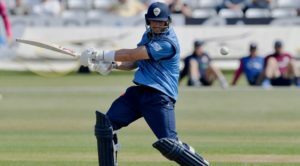 Derbyshire has extended its partnership with Custom Solar who have signed an agreement to sponsor the Chesterfield Festival of Cricket for the next three seasons. The Chesterfield-based renewable energy company, who recently installed over 500 solar panels at The 3aaa County Ground, has thrown its support behind the six-day festival, which starts on Sunday 3 July. The action-packed festival features two NatWest T20 Blast fixtures, against Northants Steelbacks and local rivals Yorkshire Vikings – which sold out in advance in 2015 – on consecutive Sundays, and a Specsavers County Championship fixture versus Northamptonshire which begins on Monday 4 July. The Custom Solar Chesterfield Festival of Cricket, held in association with Chesterfield Borough Council, will represent the fourth successive year that title sponsorship has been attributed to a commercial partner for the annual event. Custom Solar Director, Matthew Brailsford said: “To sponsor the Chesterfield Festival of Cricket is an exciting prospect. As a local Chesterfield business we remain active across the region and where possible support events that raise the profile of the town and county. To do this in partnership with one of our flagship clients is ideal for us. 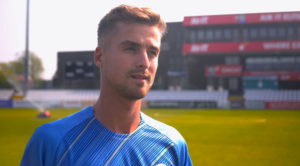 Derbyshire County Cricket Club Chief Executive, Simon Storey added: “We’re delighted to extend our partnership and to have Custom Solar as our principal festival sponsors for the next three years. 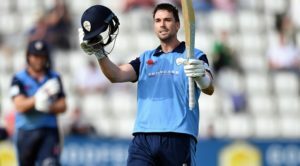 Supporters are encouraged to buy their big match tickets in advance to avoid disappointment and save 20% compared to the on-the-day price, by calling 0871 350 1870 or online at derbyshireccc.com. The Custom Solar Chesterfield Festival of Cricket is held in association with Chesterfield Borough Council.